The Fidayeen attack on the CRPF convoy which left scores dead on Thursday has come as a massive blow to the forces on security duty in the Valley. SRINAGAR & NEW DELHI: The Fidayeen attack on the CRPF convoy which left scores dead on Thursday has come as a massive blow to the forces on security duty in the Valley. 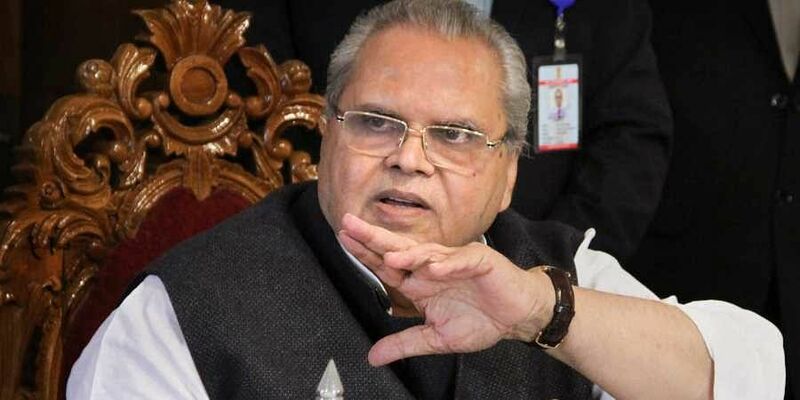 J & K Governor Satyapal Malik agreed there had been a ‘serious security lapse’, while assuring of a ‘specific and strong response’ to the attack that left over 40 jawans dead on Thursday. “In the event, such a big convoy of over 2500 men should not have travelled in the manner they did; and if they had to, they should have accelerated to high speeds making a terrorist attack untenable”, he said. “Defnitely, there was a lapse. Security forces would now have to sit together, analyse and take measures to plug such loopholes”, he added. Of the many questions raised in its aftermath were, whether there had been a serious security lapse, especially when there are reports that the Jaish-e-Mohammad (JeM) had issued several warnings of such a strike at various intervals in the past, none of which may have been taken seriously. READ | Pulwama terror attack: JeM attacker deployed SUV loaded with nearly 300 kg of explosives. The suicide hit on a close to 78-vehicle long para-military convoy on a highway said to be secured fully by the troops, do raise the issue of lapses on the part of the forces’ field intelligence wing. There are versions on the mode of the hit-none of which have been confirmed. While, some in the intelligence community point to a possible ramming of bombers own car while targeting the convoy, others have indicated, that the killer vehicle was stationary. In either case the question is whether the road opening party (ROP) missed the explosive laden vehicle on the road, or did they fail to see the oncoming militant vehicle. New Delhi: The CRPF is the lead force mandated to handle internal security responsibility but has had a few issues related to budgetary allocations, which short changes its own security. Insiders say, proposals for purchase of the critical Mine Protected Vehicles (MPVs) and Bullet Proof (BP) Vehicles have been pending for long. A senior officer informed that the force is working to augment resources but procurement has been delayed due to lengthy procedures. India on Friday hit out at Pakistan over the Pulwama terror attack and reiterated the demand that Jaish-e-Mohammad chief, Masood Azhar, be proscribed by the UN, a move that has been consistently blocked by China. The major suicide attack on a CRPF convoy by Pakistan based Jaish-e-Mohammed, often described as a lapdog of the ISI, sparked outrage and condemnation from across the world. The US Mission in India strongly condemns today’s terrorist attack in Jammu & Kashmir. We send our heartfelt condolences to the families of the victims. The United States stands alongside India in confronting terror and defeating it,” tweeted US ambassador to India Kenneth Juster.